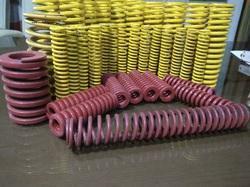 Asco offer a comprehensive range of Die Springs which is known its superior quality and cost effective prices. These are widely used to keep restricted space conditions in various products such as switches and relays dies. Asco products are available in various specifications of sizes, shapes dimensions and can also be customized as per the client’s specifications. Looking for Die Springs ?